What’s the best fertilizer for growing in cannabis in soil? Well, that’s a tricky question, there are several methods to feed cannabis plants grown in soil. Finding the best one to suit you is what’s important. Are you the person who likes having complete control over what nutrients your plants are feeding on? Or, do you prefer a no hassle “one size fits all” approach? 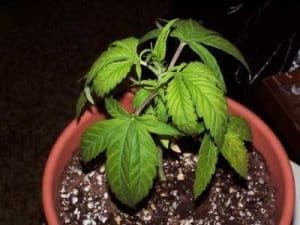 Your individual growing style will determine which of these techniques will work best for you. That’s right, there are multiple ways to feed your cannabis plants when growing them in soil. First, we’ll talk about what makes growing cannabis in soil different from other methods. 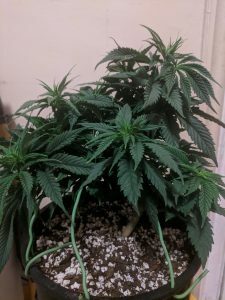 Then we will go over the three most common ways to feed your soil grown cannabis. What’s makes a soil grow different from a hydroponic grow? Good soil contains plenty of nutrients and minerals that will feed your plant over time. It’s also the place where your roots will do their magic. Your roots will stretch out to absorb nutrients, water, and oxygen. With soilless mediums and hydroponics, the grower has complete control over the nutrients. Soil acts as a pH buffer, this means it will help the pH level remain stable. The hydro grower must monitor pH closely. Water soluble nutrients are easy to measure and make precise dosing very easy. Powder cannabis nutrients like Reefertilizer contain all the nutrients needed for veg in one powder and have another powder designed for flower. Having one powder for each stage of growth makes it easier to feed your plants the nutrients they need when they need them. It also doesn’t require mixing different liquid fertilizers together, simplifying the process. Powder cannabis nutrients are also quick acting. When you feed your plants with nutrient-rich water, your roots have immediate access to these beneficial elements. These types of fertilizers will show almost immediate results because they are so fast acting. You will have to feed your plants at least once a week with these nutrients. Top dressing cannabis fertilizer usually comes in the form of a powder. 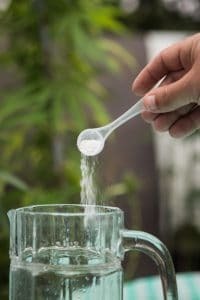 Sprinkle this organic powder all around the base of your plant, then you water your plant as usual. Depending on the nutrient content of your soil you will need to apply a top dressing once every few weeks. These nutrients will slowly break down in the soil everytime you water your plants. You can easily make your own top dressing at home by combining the organic ingredients yourself. Things like bat guano and worm castings make a great top dressing for cannabis. 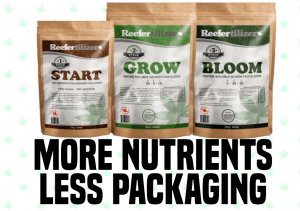 Reefertilizer Start cannabis soil conditioner can be used as a top dressing as well as an addition to potting mix. The one thing to keep in mind is that your top dressings are slow acting fertilizer, it will take time for them to break down and become available to your plant. You will have to plan ahead and understand what the nutritional requirement of your plants will be in the month ahead. Slow release fertilizers are exactly like they sound. These nutrients slowly break down and become available for your roots to absorb over time. In the form of small pellets, balls, or crystals, they are mixed directly into the potting soil. You won’t be able to remove the nutrients once they’re mixed in, If you add too many pellets, the soil risks becoming toxic. Your plants won’t be able to absorb all the nutrients present and burn from over fertilization. 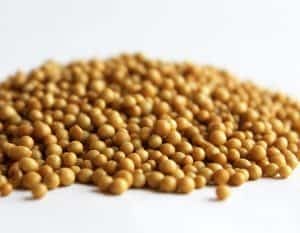 Because these pellets are slow to dissolve, flushing the soil with water won’t work to remove the excess nutrients from the soil. If you put in too little, your plant will run out of nutrients and slow its growth. At this point, you would have to add more nutrients with water. When you have the right balance for your soil, slow release fertilizers make it super easy. Just add the right pH water (6-6.8) when it’s dry and that’s it. So what’s the best fertilizer for cannabis in soil? Well that’s up to you. Do you want to grow your cannabis using only organic materials, then a top dressing might be the right choice. Would you prefer to just water your plants and not have to worry about feeding nutrients, slow release fertilizer might be something to research. 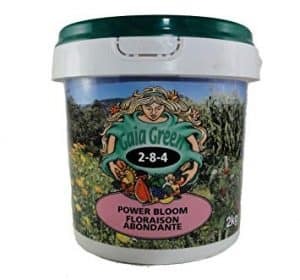 Would you like to have a more active approach and give your plants nutrients when they need them right away, then a powder nutrient might be perfect. Overwatering your plants will prevent oxygen from getting to your roots, drowning them. Overwatering will also flush nutrients from your soil. Try to only water your plants when the top inch of soil is completely dry. 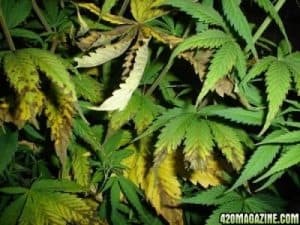 To fix overwatered cannabis pants, let the soil dry until the top half inch of surface is dry, In many cases, they will perk up in a matter of hours. We all want our plants to grow bigger faster, adding more nutrients than recommended won’t help, and might actually harm your plants. Start with small dosages and slowly increase them over time to prevent over fertilization. Bigger plants will need more nutrients than smaller ones. You can treat overfertilization by flushing the soil with pHed water. Flush with 3 times the volume of the soil planter. This will wash out any excess nutrients. You should be able to feed them normally after that. Thanks for reading this article. If you have any questions, just fill out the comment box below and I’ll get back to ASAP. 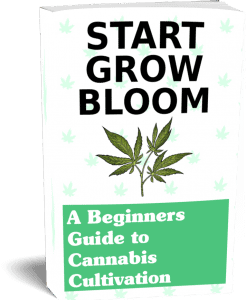 If you want a more detailed guide to growing cannabis is general, why not download are free grow guide? To get yours, all you need to do is sign up for our monthly newsletter. When you sign up you get a free pdf about growing cannabis at home and you get our latest articles and promotions directly in your inbox! You can unsubscribe at anytime. Sign up today! Cheers! Keep growing good weed my friends!